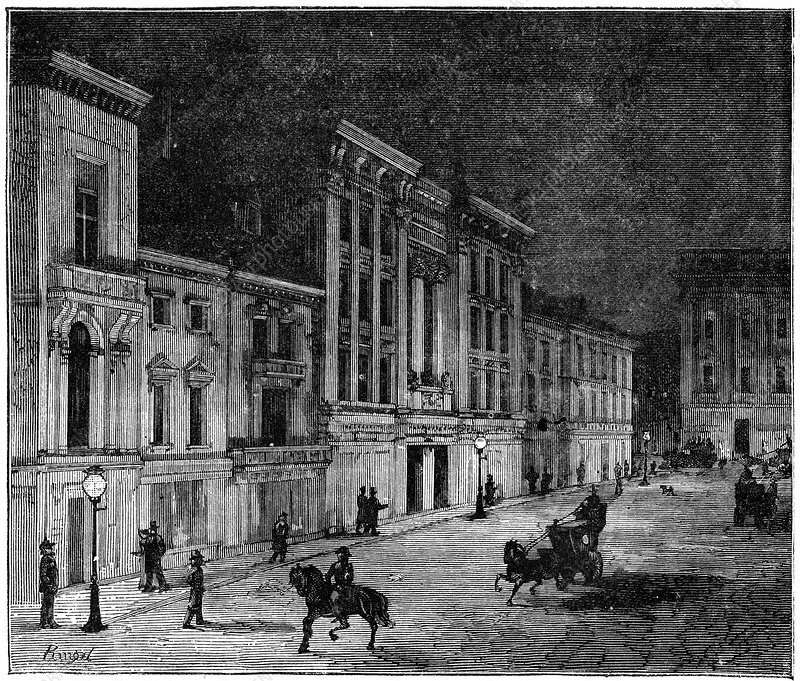 Street in Newcastle Upon Tyne lit by Swan incandescent electric lamps, 1883. In January 1879 Joseph Wilson Swan (1828-1914) demonstrated his electric lamp in Sunderland and the next month he lit the drawing-room of his house in Newcastle with his lamps. Soon a number of Newcastle streets were lit by Swan lamps. From Les Nouvelles Conquetes de la Science by Louis Figuier.